Dress up your nails with fakes with the Kiss Halloween Nail Kit. Available at drugstores nationwide, $3.99. 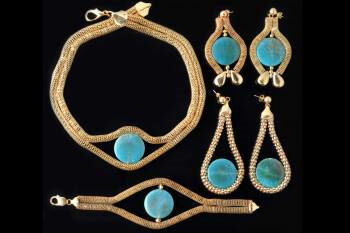 Jewelry designer Ariane Arazi will make you look like the classic and beautiful Egyptian goddess Cleopatra with these pieces from her collection. ArianeArazi.com, price available upon request. Add color to your hair with Streekers. Go pink to look like Lady Gaga or blue to transform into an Avatar. Streekers.com, $10.95. 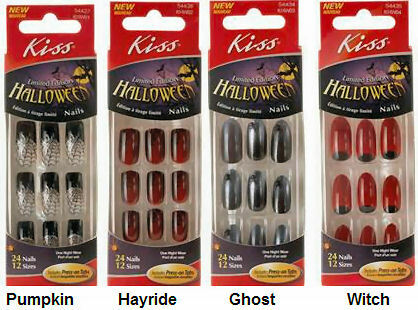 LOVE those Kiss nails – perfect for Halloween :) Could totally see Lady Gaga rocking them!